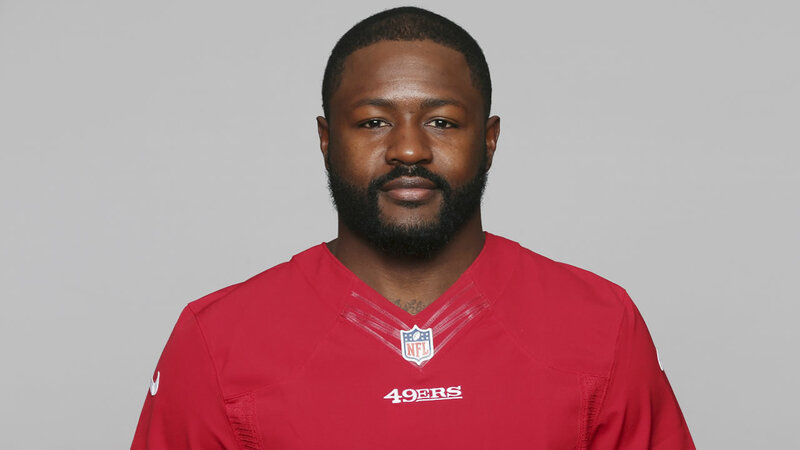 SAN JOSE, Calif. -- A former San Francisco 49ers cornerback was arraigned on felony domestic violence charges in a San Jose courtroom this afternoon. Tramaine Brock, 28, allegedly punched his 31-year-old girlfriend in the face and tried to strangle her several times in early April, including once as she was holding their 1-year-old child. Brock has also been charged with misdemeanor child endangerment. If convicted, he could face up to five years in prison. "It takes great courage for victims to come forward. But only with someone coming forward can the violence be interrupted," prosecutor Kalila Spain said in a statement. Around 9:30 p.m. on April 6, the woman told responding Santa Clara police officers that in a disagreement over what to watch on television, Brock had punched her in the face and tried to strangle her to the point that she vomited later. The woman also said that Brock had tried to strangle her several times five days earlier, leaving visible marks on her neck, while his friend was at his home. Brock was arrested that night at a home on Headen Way, about 2 miles from Levi's Stadium in Santa Clara. The next day, he was released on $50,000 bail and fired by the 49ers, for whom he had played since 2010. Brock appeared in court today in a gray suit and declined to comment on the case. He is scheduled to enter a plea on July 3. A no-contact protective order granted today by Santa Clara County Superior Court Judge Nora Klippen will prevent Brock from contacting or coming within 300 yards of his girlfriend other than to allow for child visitation, depending on family court orders. The protective order is set to expire on June 6, 2020. Grabbing someone by the neck can cause traumatic brain injury, according to Santa Clara County Assistant District Attorney Cindy Hendrickson, who said victims should seek prompt medical attention even without visible injuries. According to the district attorney's office, domestic violence-related deaths over the past 20 years show that abusers who attempt to strangle their victims are more likely to kill at a later date. Click here for more stories and videos about the San Francisco 49ers.